Get the skills, knowledge and experience required for a successful career in accounting and finance - whether in the UK or abroad. Graduate, Tom Ramsden, is now working for top accounting firm PwC. Tom had previously spent his placement year with the company. Tom said: "The course played a key role in helping me to secure my job with PwC. In addition to teaching us the technical skills, the modules also helped us to develop as professionals. For example, we were taught how to write a CV that would help us to stand out from the crowd, and through the assessment process we were able to develop presentation skills. My placement helped me immensely too - it gave me an idea of what I wanted to focus on after graduating. I also found that applying what I had learnt in the classroom in a real business context helped me to cement my understanding of the theory." Benefit from being exempt from a maximum number of professional exams. We are one of the few universities in the world to offer exemptions from 12 out of 15 ICAEW exams. Our students are exempt from 10 CIMA exams - the maximum number of exemptions for an undergraduate degree. This course also offers maximum ACCA exemptions. Learn your trade in our landmark new School of Business and Technology. Part of a £20m development at our Oxstalls Campus, this exceptional new building includes high-tech boardrooms, a business incubation centre, Thompson Reuters trading room. With the Growth Hub and Local Enterprise Partnership based in the same building, you will have access and exposure to some of the region's top businesses. "I take very technical concepts and techniques used in high-level business, and teach them in a practical and enjoyable way. Following academic and professional qualifications in accountancy and corporate treasury, I spent 8 years practicising whilst teaching in top accountancy colleges in London. I have also worked with a global consultancy to deliver executive education on the adoption of International Financial Reporting Standards to international audiences. As Academic Course Leader for our undergraduate accounting courses, I manage the programme content to ensure that graduates obtain the range of competences and skills required for successful careers in accounting, finance and business management. View full profile View profiles of staff teaching on this course. Meet graduate David Sargeant. He's now Finance Business Partner for the Americas Region at SThree PLC in New York. Take our accounting profile quiz to discover your accounting profile! Succeed on a degree that measures up to the high expectations of all global accountancy bodies, leading to maximum exemptions from professional exams including ICEAW, ACCA, CIMA and AIA when you graduate. Gain solid grounding in all aspects of accounting from financial markets and institutions to the global business environment. You specialise later in the degree with subjects including taxation principles and practice, corporate accountability and social and environmental accounting. 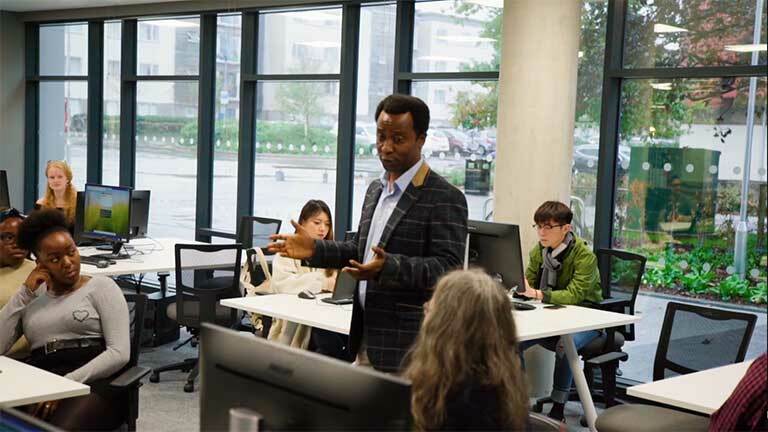 The University of Gloucestershire School of Business and Technology is situated in a brand-new, state-of-the-art centre at our Oxstalls campus in Gloucester. The £18 million development is home to our Business, Marketing, Human Resource Management, Law and Accounting and Finance courses. Find out more about this and other new developments with our virtual fly-through video and see where you could be taking the first steps towards your career in business. Read our Accounting and Finance blog. Experience your subject globally with the opportunity to go on an unforgettable free international trip. See how foreign direct investment can shape the economic infrastructure of an entire country in Ho Chi Minh, an emerging and vibrant city in Vietnam. Explore resource management and how the Vietnamese have maximised resources to become the world's leading coffee exporters. This global exposure will help you stand out in the job market, no matter whether you plan on having an international career or not. Access real-world business experiences and challenges. Simulations with companies within the accounting sector are embedded in your degree, underpinning your learning with real-world application. 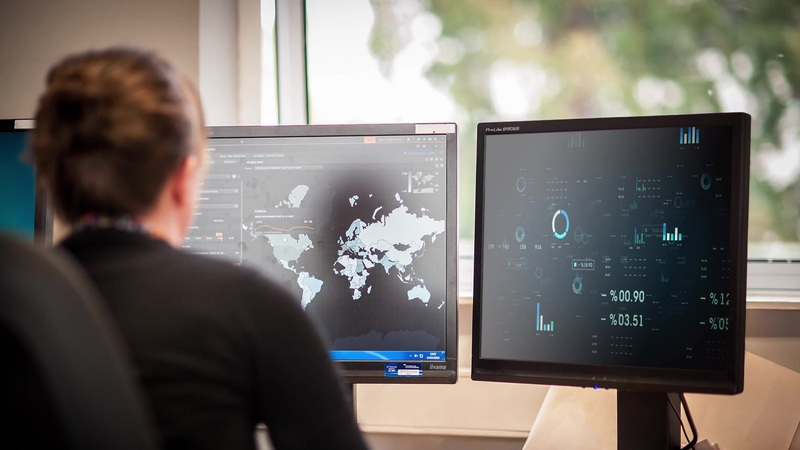 You will also work with live financial data in our Thomson Reuters Trading room and gain insight into industry with specialist guest lecturers. Put your skills to the test and enter the CIMA Global Business Challenge, designed to foster the young business leaders of the future. Create and pitch your business case to a high profile audience with support from an expert business mentor. A personal tutor to help you identify exciting new opportunities. Work placement opportunities give you confidence to put your learning into practice and gain essential contacts. Students have worked for prestigious companies such as PWC, Boots and Smiths Industries. Graduate David Sargeant did his placement with international recruitment company SThree plc and now works in New York as their finance business partner. You will also shadow a financial consultant or adviser, work with a regional accountancy or business firm and work within a large corporate department. All of this is designed to give you the skills and the CV to pursue your chosen. Get Accounting and Finance course updates and hear more about studying with us. You'll benefit from great business links with local, national and international organisations. These include Hazlewoods (in the Top 40 Independent Chartered Accountants and Business Advisers, and sponsors of our Top Undergraduate Student competition); and global cult clothing business Superdry. Our strong industry links offer exciting placement and internship opportunities that could result in your graduate career. This degree is accredited with Association of Chartered Certified Accountants (ACCA), Institute of Chartered Accountants England and Wales (ICAEW), Chartered Institute of Management Accountants (CIMA) and Association of International Accountants (AIA). Accreditation's for this course are reviewed annually. International Students: Please see the full details of entry requirements in your country. If you do not meet the academic and English language requirements, you should consider a preparation course at INTO University of Gloucestershire, which will help to prepare you for study on this degree. INTO University of Gloucestershire is based at our Park campus and offers a range of courses including International Foundation Business, Hospitality and Tourism, International Year One in Business and Management and Undergraduate Degree with International Foundation. Fill in the form below and we'll be in touch with Accounting and Finance updates, upcoming events and everything you need to know about university life.